The aim of this article is to provide help with logging in Node.js modules, applications and distributed systems (or microservice architectures). To do so, I’ve compiled the tools, methods, rules and best practices we use at RisingStack for developing enterprise Node projects. This means that you can learn how to use the built-in console module of Node.js, the debug module, the winston library and Trace. Whether talking about Node.js modules or complete applications, it is crucial to get logging right. find out if your services are running properly. console.error('some error') will put some error to the standard error (stderr). This approach has a lot of flaws like you cannot turn it off or add log levels to it. For logging, we usually have requirements, which the console module can't do. You want to know when a given event happened, right? You will need a timestamp for that. Writing readable log lines are equally important for both humans and computers: you'd like to quickly understand what is going on, while machines have to parse the file as well. Sometimes multi-transport logging appears as a requirement - but it shouldn't be. The target should always be the standard output/error. It is not the responsibility of the application to route logs. Log events can have different severity levels - in some cases, you just want to log events with at least a warning level, sometimes log lines have to be more verbose. when you are building a distributed system. Let’s discover best practices for these situations one by one! It is not recommended to pollute the log files with your events when others use the module you build. However, in some cases, application developers may need it to understand better why a given issue arose. By default, it will not produce any output. To enable this logger, you have run your application with a special environment variable, called DEBUG. Once you do that, the debug module will come to life and will start producing log events for stdout. Luckily, this module is widespread in the Node.js community, so if you are using a popular project, like Express, chances are high you can use the debug module with that. Also, you can inspect multiple modules at once, by separating the names with a comma. When it comes to your application, you can do more sophisticated application logging. For that, you can use one of the most popular package called winston. 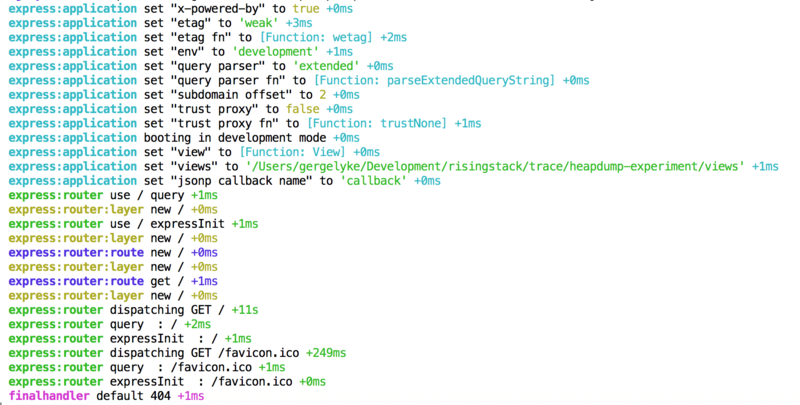 Winston is a multi-transport async logging library for Node.js. When you are logging on a silly level, you should try to log almost everything. Still, there is a rule of thumb that you should follow: never, ever log credentials, passwords or any sensitive information. Usually, more than one people has access to logs, so logging events containing credentials adds an extra security risk. 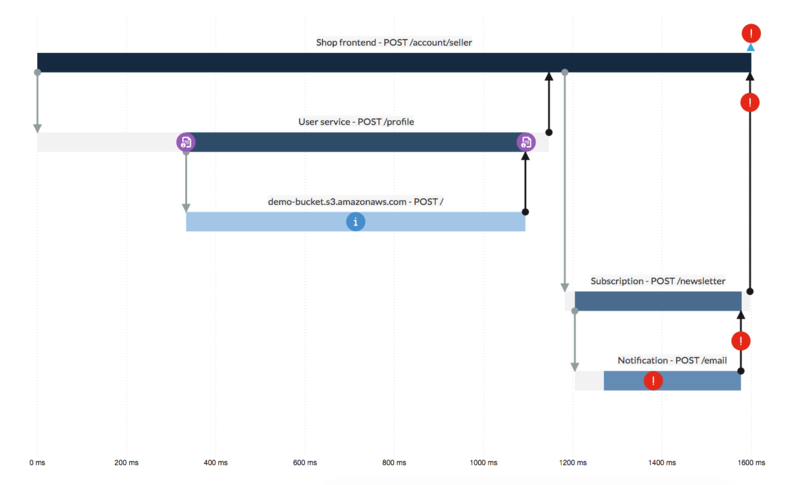 When you start using microservices, the biggest challenge from a logging perspective is doing distributed tracing. In a distributed architecture, error detection gets frustrating because of the flood of alerts caused by flaws in the system. Distributed tracing aims to eliminate this problem by providing insights on transactions and errors in a way that log files are not capable of doing so. For that, you have to use a so-called correlation identifier - and pass it to all the services the transaction goes through. Then, if every log line is labeled with this ID, you can search for these events. This ID has to be passed around in function calls, and it has to be sent to downstream services too. As you can imagine, is not a rewarding task to do. Thanks to this approach, you can see the dependencies between your microservices and localize ongoing issues. Logging in Node.js shouldn’t be hard if you implement these methods and tools we just discussed. If you have questions or recommendations regarding this topic, feel free to share them in the comments section.